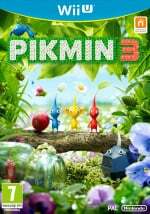 Pikmin 3 hits Europe on 26th July, though some gamers have taken the chance to pick it up early by redeeming download codes sold by GAME. Well, for those already playing and those patiently waiting until launch day, there's an update waiting. This has only popped up very recently, as we fired the game up earlier today in Nintendo Life towers with no update in sight, which we suspect will enable features such as Miiverse sharing ahead of the title's actual street date. The good news is that the actual file size is relatively miniscule at 70MB, with the update downloading on our system in less than one minute, suggesting that it's merely an enabler for existing features. So don't panic when the update window appears, it should only take a minute of your time. 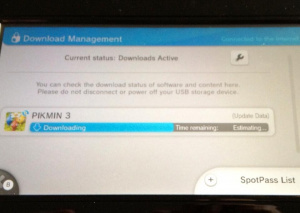 The system and software update mini-game is a part of Wii U life, so we might as well get used to it. As long as it's short. The 45 minute update for Nintendo Land was absolutely ridiculous. I would love to be able to download 70MB in less than a minute. That's not exactly what I would consider to be "minuscule." It would take me about an hour to download that. Maybe half an hour if I download it at, say, 2 in the morning when my Internet service is running faster. I picked my game up today, yaaay!! I was rather confused that I could pick it up at the 25th, at a retail store, mind you. Even more confused that I could've picked it up as early as the 23rd. But whatevs, point is I got the game. Great... another spoiler. Thanks NL, I was hoping to discover it myself! 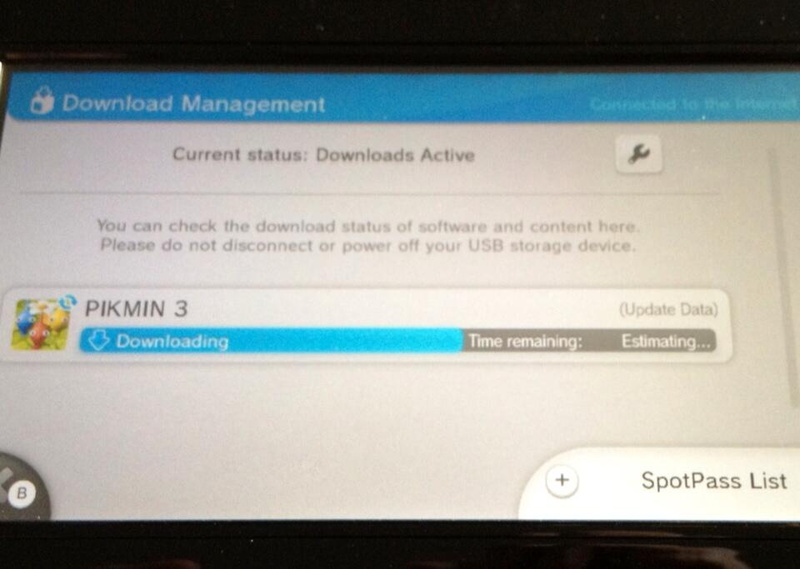 With the recent system software update this update to Pikmin is almost invisible. The first I knew about it was a message that the update was complete as I launched the game. @Tony_342 Dear God, an hour for 70mb? No offense, but do you live in the year 1995? Anyways, when I do get this game, this is nothing. Downloaded a 5GB game in 5 minutes last night, so I expect this'll go pretty fast. @Erica_Hartmann Well at least stupid america got earthbound 18 years before europe,not to metion countless others weve had the misfortune of getting late.About time we got some games before anyone else! @Wintendo I live out in the country. My home Internet service is Verizon Wireless 3G. It's outrageously unreliable and inconsistent in this area, for some reason. As a matter of fact, just the other day I said to them on the phone - "I can't tell if this is Verizon Wireless 3G in 2013, or dial-up in 1993." So, yeah, you're not far off the mark. Also, 5GB in 5 minutes? Wow. I can't even imagine having Internet that fast. To me, that would be like living in the year 3000. 70MB on my Fiber Op connection will take less than a minute. I can't imagine little DL's like this taking long. Would make me feel like I have dail up. lol Can't wait for this game. So Nintendo has dropped to the level of everyone else in rushing out software and then having to patch it on release not a good sign. A 70MB patch to game to enable some network features is far from releasing an unfinished game. When Nintendo games are broken out the box without a patch then I'll worry. You could likely play Pikmin 3 from start to finish without ever connecting to the Internet and you'd not miss a thing. @th3r3ds0x No excuses unfinished software. @SanderEvers Is it as good as you'd hoped? I'm really looking forward to it- it's been a long dry spell for the Wii U this year. Thank goodness all that's finally about to change. @tony you have 56k ? @unrandomsam No excuses unfinished comment grammar. My son accidentally pressed cancel when the "do you want to enable spotpass" prompt came up, and now I can't find an optim anywhere to enable it. Does anyone know how to do so?